The holiday season is richly textured with multiple opportunities to put our spiritual practice into action. We often hear, “it is better to give than to receive,” which encourages us to focus on the joys of sharing with others in our lives. There is also a hidden message in this saying that points to the shadow aspects of our desire to be on the receiving end of the exchange. Aligning with the magical wonder of winter stories that tell of miracles, generosity and faith allows us to remember those we love and expand that kindness from our small circles to the entire planetary family. As all in life seeks balance; learning to accept the gifts with an open heart is essential for the cycle to be complete. If we look to the key spiritual teachings of detachment from expectation, choosing not to take things personally, and having clear intentions, the season can flow with more joy, humor and ease. Remaining true to one’s self can be challenging, yet what part of life doesn’t ask that of us? The area I tend to struggle with the most has to do with feeling that whatever I give is not enough. I grew up in a family where the prevailing attitude was “if a little is enough; more is better”. I also have a tendency to think I should be able to do everything on my own (and in reality can’t do much of anything without the support of others) so at times I can feel overwhelmed with gratitude shadowed by guilt and shame that can translate into fretting over “giving” enough. This can be exasperated by feeling the depth of pain and suffering that exists in the world and feeling like nothing I give could ever really make a difference because the need is so great. In truth, we have no idea the impact we have on others in our lives, from the birds we feed in the park to smiles we meet strangers with on our daily path or the moment we take to really listen to someone. I had a truly humbling experience years ago regarding impacting someone’s life in a way I had never expected. I had recorded two meditation tapes (yes tapes) and was at a wholistic conference with many more popular and well-known authors. We were asked to sit at a table to sign books and answer questions. Feeling very silly and small next to these experts with lines of people waiting to talk to them, I was getting ready to leave when a woman came up to me and told me that she listened to my tapes until they broke. She said they got her through her chemotherapy treatments and was so grateful I had made them. I was overwhelmed with authentic recognition as it so clearly came from her heart to mine. More importantly, that was the real reason I had recorded the meditations to begin with so we came full circle. Another powerful indigenous saying, “as above so below” reminds us to look at our world as a reflection of spirit. From that reference point, nature can teach us so much about trusting that the mystery of reaching the perfect balance of giving and receiving is possible. I learned this particular lesson from nursing my children. They ate until they were satisfied rather than when the measured amount in the bottle was empty. It was amazing how quickly I surrendered into the ease of this exchange and felt protective of the wisdom that these little souls understood. Each of us holds this sacred understanding if we really take the time to be a witness to our own experience rather than reacting to behavior or preconceived programing. I encourage us all to shift the phrase to “giving is receiving”. If we give from our mindful hearts as a means of expressing our true gratitude and love, than it is sure to wash back over our consciousness as well. In spite of all the doubts and uncertainty; I still delight in the ritual of gifting. For eleven years, Everyday Medicine Woman has been offering an annual goddess gathering. The first seven years were held in a local retreat center near Chicago so as many women as felt called to participate could weave into our sacred hoop. As I had created and maintained this matrix from the “mother” era of my life, when I began my initiation into “regeneropause” (beautifully coined term for menopause by Barbara Marx Hubbard), I felt a primal surge to shift the gatherings from the Midwest to explore locales that gave us unique access to sacred feminine lineage energies. In this way, we could further activate and enhance our individual and collective spiritual path. Since women can get so depleted in our everyday lives, it was important to me that we be nourished and restored not only spiritually but in all ways. Each gathering has a theme and 2011 was dedicated to honoring the power of butterfly medicine as teacher of the metamorphosis. This wisdom would help us face the challenges of this evolving era as modern women carrying ancient timeless knowledge in service as sacred feminine activists. On October 22nd, we pitched our moon tent in Tulum, Mexico for the fourth time. We always choose dates that get us as close to the end of hurricane season as possible, while still being able to benefit from summer rates. 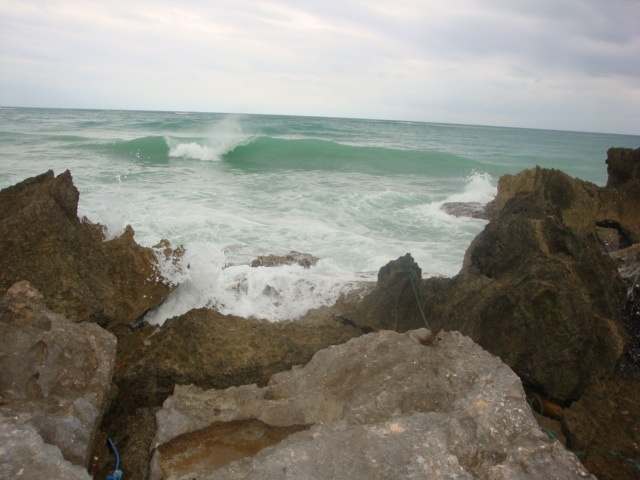 The first time we journeyed to Tulum, it was right after a level 4 hurricane had hit the area. Much of what we experienced that year was impacted by the profound cleansing and raw vulnerability of the land, coupled with the generosity and kindness of the heart-centered medicine carriers at Maya Tulum resort, our spiritual Yucatan home. After I chose the dates for this year’s retreat, I remembered that we would be in Tulum for a strong Scorpio new moon as well 10-28-2011, a date calculated by some Mayan calendar cosmologists, such as Barbara Handclow, as the end of the 26,000 year Mayan era of time. However, many other noted and respected authorities of the Mayan cosmo-vision, such as John Major Jenkins and the beloved Jose Arguelies (who crossed the cosmic rainbow earlier this year), firmly hold to the end of the era on 12-21-2012. I wondered what might happen while we were in the Yucatan over this auspicious week. I got my answer on Monday, the third day of the trip, when I was greeted by my sisters, medicine staff and partners-in-adventure: Robin and Heather, with the news that a hurricane might be headed our way. We shared the news with our sacred hoop right before we were to begin a twinned ceremony of the Temezcal (Mayan sweat lodge for purification) and labyrinth walk dedicated to offering prayers for ourselves, families and all of humanity. We knew at that moment that no matter what unfolded in the next 24 hours, it was no accident that we were called to experience this adventure as something very deep stirred in the magic of the night skies. The following morning, we all got up early to discover that the hurricane was gathering its strength and setting course for the Tulum/Cancun area. It was colder and late in the season so the local folks felt that it might turn north but the government had issued a coastal area evacuation for Wednesday at noon. This was also a new moon day (two months prior, Hurricane Irene plummeted onto the East Coast on a new moon day as well). We changed our flights to Thursday and planned to move to a safe hotel in Cancun but information by trusted sources urged us to get out of the area on Wednesday. Several of the woman were able to re-route their flights for Wednesday but for 17 of us, the options had closed up as all flights out of Cancun were booked. A core group of dedicated goddesses sat down after lunch to see how we could manifest a way to open the friendly skies. We remembered that Merida, the capital city of the Yucatan, had an airport that served major carriers. The only hitch was that it was four hours away. Mary Ellen, a seasoned world traveler, contacted her amazingly patient sister and together with a brave airline agent helped us get 17 women going to three different destinations onto a 7:00 a.m. plane to Houston. Fortunately, the programming of the trip was designed so that the most important medicine work to activate the multifaceted intentions of the retreat had already been accomplished. It was clear that the shedding of historical features causing blocks and imbalances were clearing and potent and accelerated seeds for change had been planted in the darkest part of each sister’s divine feminine assemblage point within the soul of self. After dinner, we were preparing to create an ancestral apuchetta (sacred stone mound that is consecrated to become a permanent site on the land) honoring the ones who came before us with song and prayer and summon our divine possibilities by creating dream bundles. 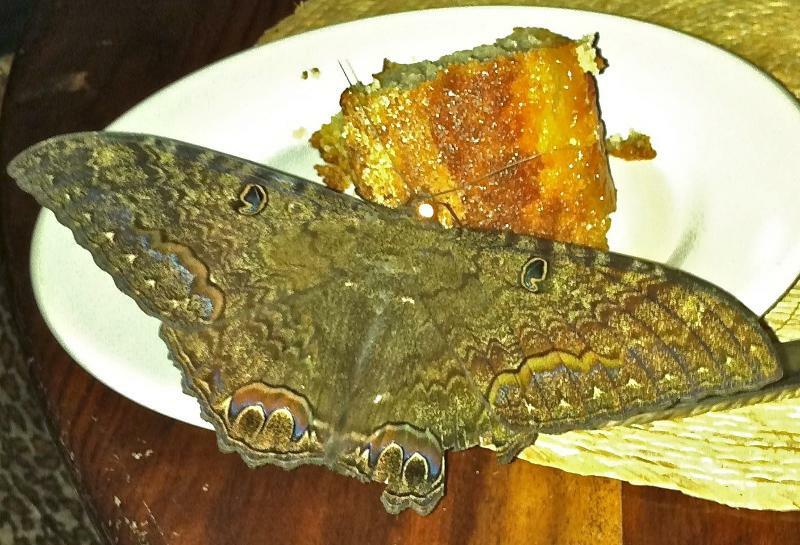 As I was beginning to herd the sisters, we got a visitation from our spirit ally; a glorious black butterfly who danced into the dining hall and landed on Robin’s cake to join us for dessert. As the women were all taking our situation with a level of grace and humor beyond imagination, this manifestation of our guide gave our hearts the gift we needed and validation that our work was being supported and acknowledged by the unseen realm. When I inquired about this amazingly luminous creature, our Mayan chef said that this was the butterfly of water and light. These were the butterflies that came with the hurricanes. Some of the women who were out at the beach (while the re-routing crew were working on the phones) also reported the sighting of a stunning rainbow; the same vibrational medicine we had been working with to support the cosmic shifts that were in play. In the dead of the Mexican night, we began our exodus to Merida. Four hours later, seventeen tired sisters poured out of two vans only to see a group of nuns at the airport! We knew we were fine. Internet sites were reporting that the hurricane known as Lady Rina was expanding to a category 3. While the journey home was long, it remained calm and quiet. Over the next 24 hours, the magical event had contracted to a tropical storm before touching the shore. After getting some sleep, we reunited the Chicago group (plus two East coast sisters via Skype) on Friday. Though none of us could really process what had happened, we had all been changed and were deeply bonded to one another. Not yet able to gain greater awareness about the real depth and powerful initiatory awakening that was the gift of this unique time together, some beginning thoughts were forming. I believe that for each of us there is one lesson from this classroom that is staring right at us with so many others timed to open as we move forward in our lives. Mine has to do with change. That was the goddess card I got when we arrived, along with feminine consciousness. The important teaching that Lady Rina offered is to learn that I can’t control life but I can choose how I move with it. This dress rehearsal for the other changes that may be heading my way has helped me to see and learn so much about myself. It has also given me an appreciation for the level of guidance and support that is all around me – way beyond what I already had known to be true. This group of women proved to be the greatest example of the power of the feminine. I was in awe of how selfless, mature and giving every member of our group was in offering their talents and gifts to the group. From executive leadership, tender care-giving, hilarious one-liners or headache medication – each time someone needed anything, there was an immediate remedy supplied with unconditional love. At the collective level, I wondered if the hurricane threat gave the land a break from the tourists to re-balance and cleanse in preparation for the powerful turning of the galactic hands of time aligning with the planetary shifts that signal a new era for humanity. While sitting in circle with my sisters, I remembered hearing a talk offered by John Kimmey, renowned carrier of the Hopi Prophecies (who also made his walk to the spirit world this past spring), who told us that this era was bringing in the fifth world in the Hopi traditions. He taught us the Migration Song and shared that the prophecies warned of another migration where only those who traveled together singing a song connected by heart and collective intention would move through the shifts protected and those of two hearts promoting self interest would be less likely to live through the shifts of such massive challenges. We all shared how so many of our ancestors packed their families in truly dire situations, never to see their homes again. While we suffered a minor inconvenience, this event gave us so much compassion for the families who have been evacuated throughout the world with no where to go; refuges held together by community and the spirits of the natural world. While heartbroken that the women who worked so hard did not get their full vacation time, I knew we got so much more. Personally, I felt like I had a premature birth. Being in regeneropause, I know that this baby is made of wishes, prayers, visions and hopes for a co-creative dream to be the beauty we wish to see in the world. I am grateful to be among such wise, spirited and loving sisters and brothers to share this journey toward empowered liberation and unity. I have no idea where the goddess will point our tribal compass for the twelfth goddess gathering in 2012, but this time I will get travel insurance.